I know some of you are scared, some of you say "oh, I could never..." and some of you just can't imagine, but today, we're talking about it. It's time to try on White Jeans. 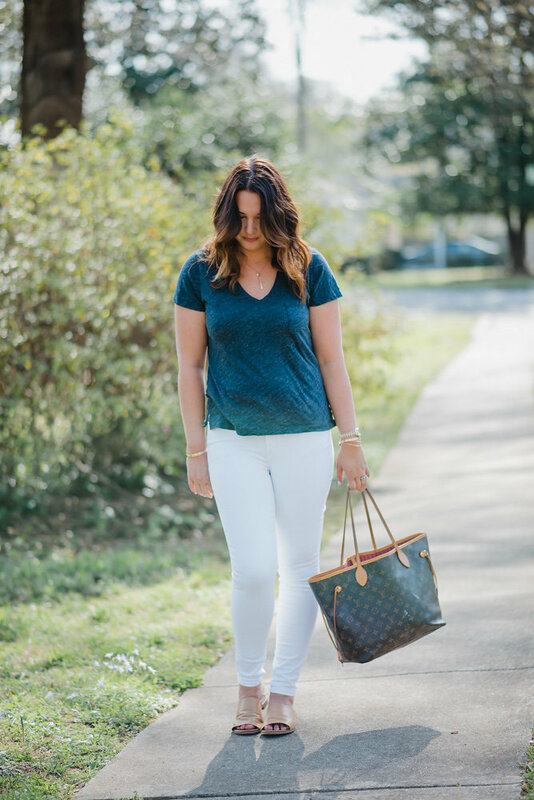 Yep, I said it, white jeans are a staple for me from March through October and I wear them as a size 10/12/L, as a mom with extremely messy littles and you can, too. I'm rounding up the three best pair that I personally own and wear, broken down by their price point (high, medium or low). I'll drop all of my real sizes, my thoughts and which pair you should never buy full price below, so let's dig in, shall we?? I'm 5'9", a large/10/30 in bottoms and denim. Ok, so $128 is a lot of money for a pair of jeans that my son will inedibly smear Nutella all over. With that said, I honestly believe that this pair is worth the investment. The waist is so high (above my belly button) and the denim is thick without being bulky. The waist never gaps on me and the fabric does not lose it's shape during wear. Stains wash out well - I just battled with a blueberry situation thanks to my daughter's high chair - and am pleased with how they wash and wear (I chose not to dry them, so I'm only commenting on a little washing machine action). The length is just perfect for a girl with stems like mine but if you're on the petite side you'll like how the ankles cuff if you choose not to hem. 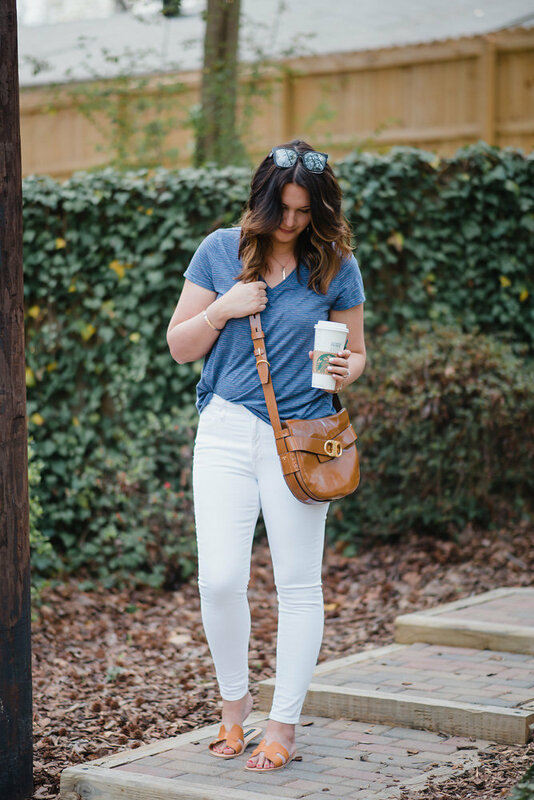 The Loft Modern Skinny is a great mid-level price point option if you don't mind a tiny bit of a lower waist. They refer to the rise as "mid-rise" and I would agree, it sits below the belly button and I prefer to wear them with tunics or longer tees. Loft also offers this pair in a petite and a tall although at 5'9", I wear the regular length. As a heads up, I never, ever buy anything at Loft full price. They are known for their 40% off sales so absolutely wait until a sale to snag this pair. While this is the cheapest pair, it is by far the softest. I love the feel of the fabric and the built in sculpt is my jam. Jam, I tell you. The rise is labeled as mid-rise but it does come higher than the Loft pair and sits just at my belly button. 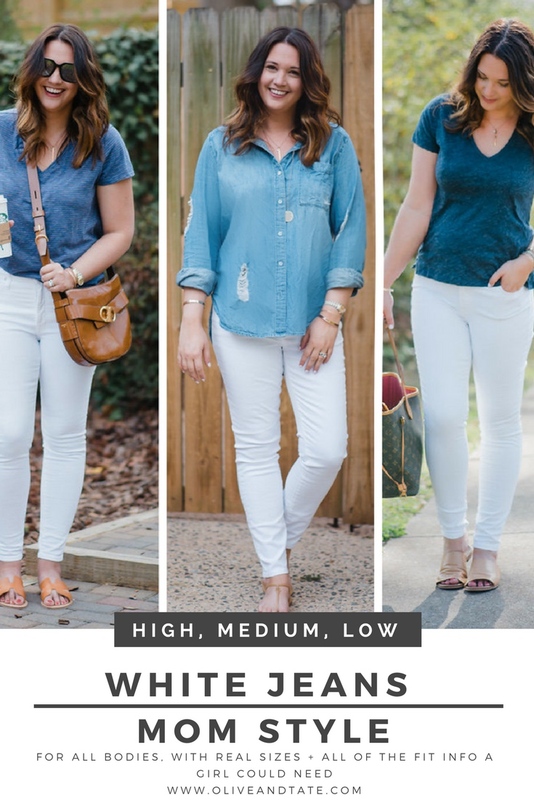 I will caution that Old Navy white jeans can be a little less forgiving than some but if you ignore the size in the tag and find the size that truly fits you, you'll be really pleased with the results. They do carry a stain repelling line, which I own in a distressed pair, and I rave about them as well. 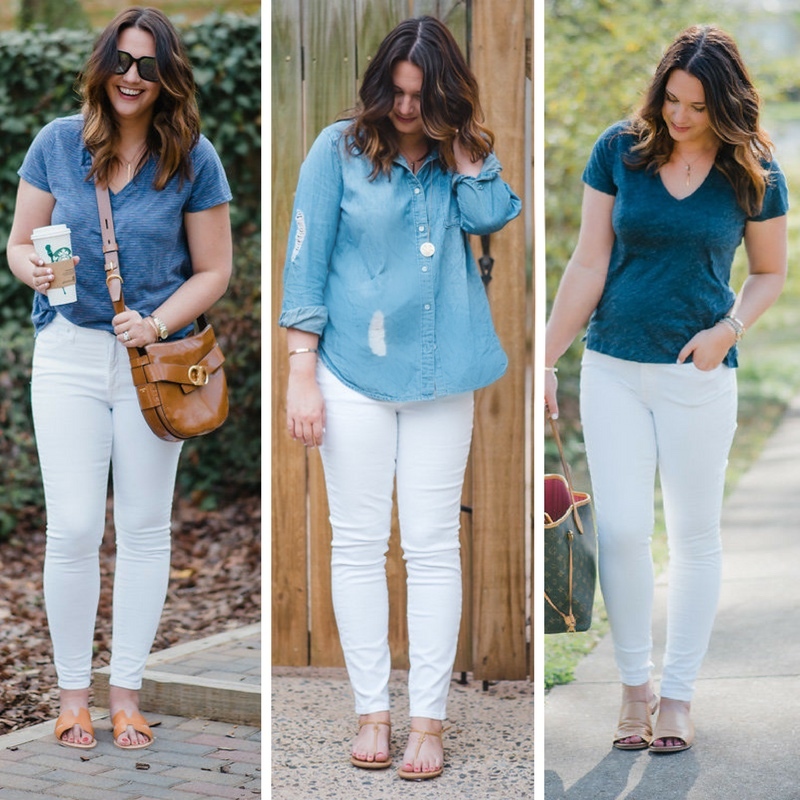 If you aren't so sure white jeans are for you, I would start at an Old Navy in the built in sculpt section, and prepare to be convinced that any body, any shape, can rock a great pair of structured white jeans! I'm curious if you have any under garment recs for the white jeans? I purchased the loft pair off of your recommendation and really like them....but I feel like they are the teensiest bit see through on the backside.